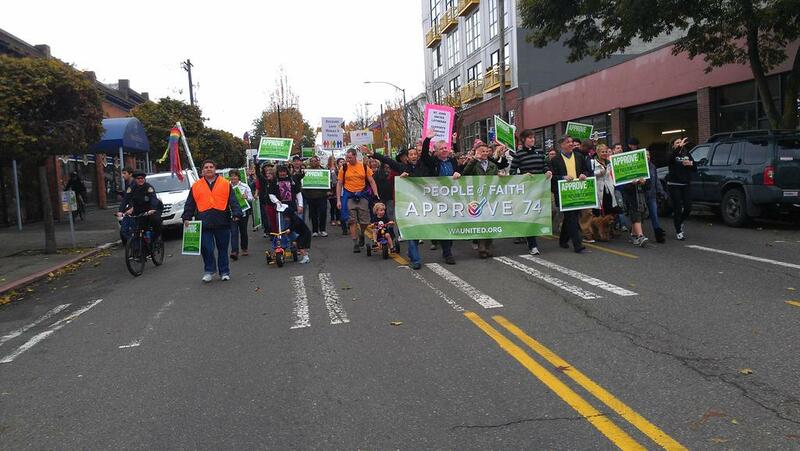 Nearly 400 people of faith representing more than a dozen congregations took to the streets of Seattle today. The occasion was a show of support for approving Referendum 74 that would affirm LGBT couples’ right to marry in the state of Washington. This was the latest in nearly 400 faith-based events that have occurred around the state supporting the freedom to marry. 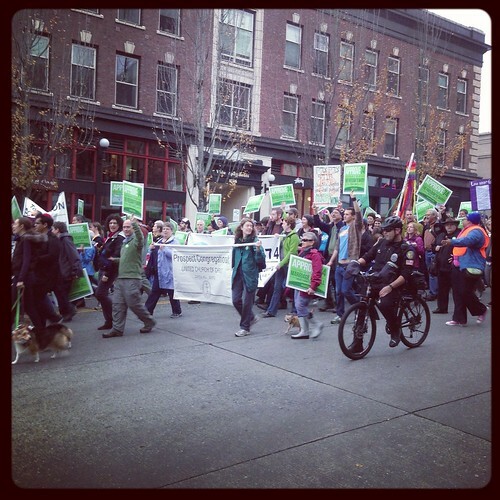 Marching for Marriage, originally uploaded by evil robot 6. We posted earlier about the busy get-out-the-vote efforts around the neighborhood. Rather than shrugging his shoulders, inviting his friends over, or throwing a potluck, he decided the way to bring people together was by doing an art project. 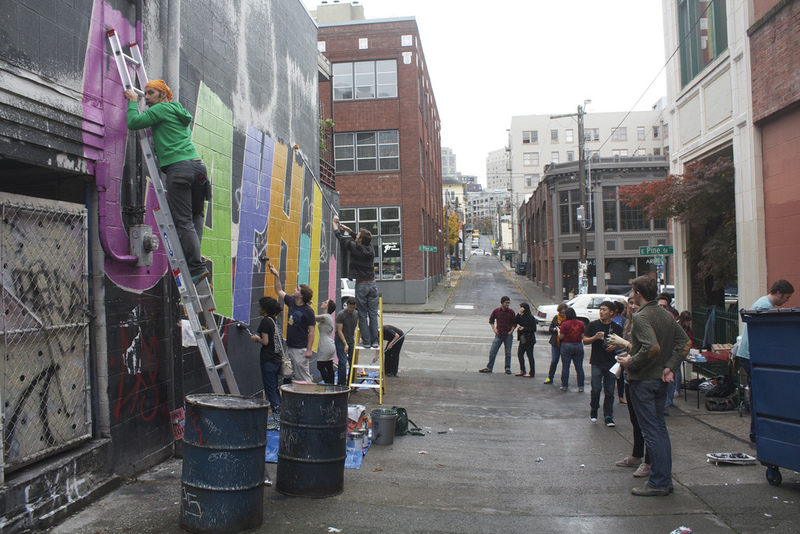 He wanted to paint a community paint-by-number mural in Capitol Hill that would encourage anyone walking by to see that they could contribute, and meet some new people! Tom reached out to UrbanArtworks where he connected with Kathleen Warren, a project coordinator, and Mark O’Connell, a local artist. Mark came up with a design to focus on the community, and the three proposed it to the Capitol Club. Meanwhile, a group of handy Seattleites were putting a Seattle U meeting hall to use to host a day of bartering and gardening and sustainability workshops. rter sessions have been held regularly in other parts of Seattle and there are plans for more. 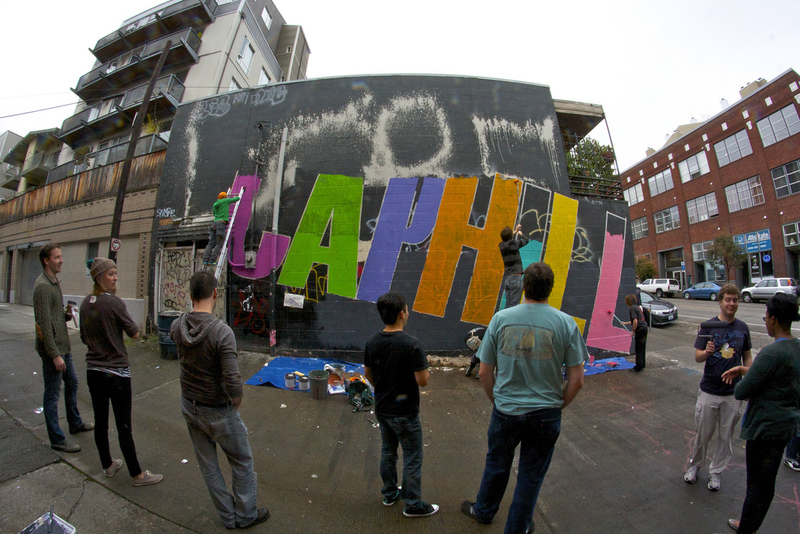 We’re thinking Capitol Hill is handy enough to make a neighborhood session a regular thing. You can learn more about the Backyard Barter sessions at facebook.com/BackyardBarter. The Sherlock Seattle Convention is a celebration of all things Sherlock and as such will feature many interesting and informative panels, fun and entertaining events, as well as a large screen presentation of BBC’s television production, SHERLOCK: Season 2 – A Scandal in Belgravia, The Hounds of Baskerville, and The Reichenbach Fall! And to think CHS just watched it alone. Organizers said they’re hoping to hold more events but were sorry to inform this reporter that the group had just begun the Season 2 finale and wouldn’t be available for a picture until it completed. 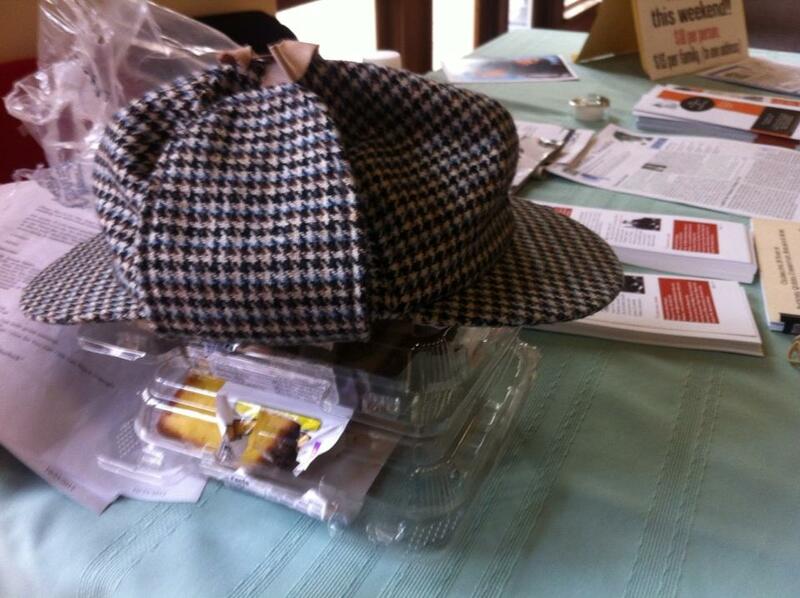 You’ll instead have to make do with a picture of this mysterious wallpaper hat. I like the idea of bartering and it sounds good what BackyardBarter is doing. As a member of barterquest.com I trade for my service as an event manager. It increases my client base and I can save some money in tough times!